She’s a dreamer, likes to be around people but she can be a loner too. Wandering around, exploring new places is her favorite thing to do. 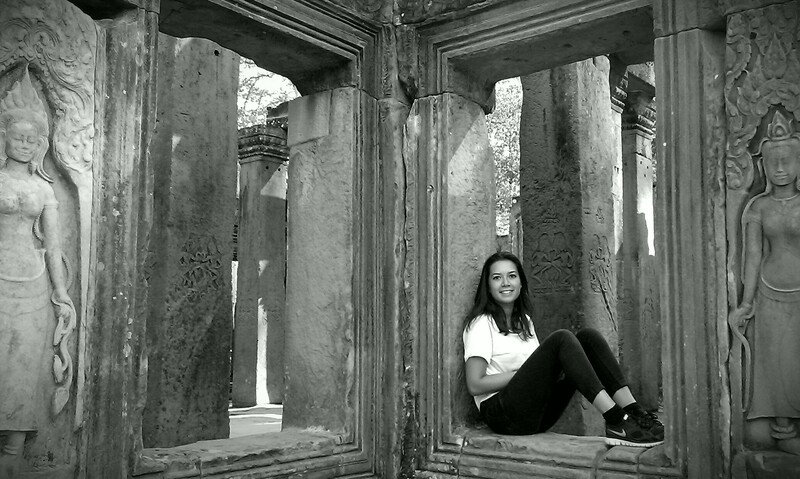 While travelling she fell in love with the world but especially Southeast Asia. She developed an obsession for sunsets, limestone mountains and cows walking on the road. Also she loves nature, waterfalls, ruins and places that overwhelm her. Countries visited: Australia, Belgium, Bosnia and Herzegovina, Bulgaria, Cambodia, Croatia, Czech Republic, Egypt, England, France, Germany, Greece, Hungary, Indonesia, Italy, Laos, Latvia, Montenegro, Malaysia, Myanmar, Netherlands, Nicaragua, Portugal, Serbia, Slovenia, South Africa, Spain, Sri Lanka, Swaziland, Thailand, Vietnam. On her bucketlist: Canada, China, India, Nepal, New Zealand, Philippines, South Korea, Taiwan. Currently working at Tico Reizen in Amsterdam.